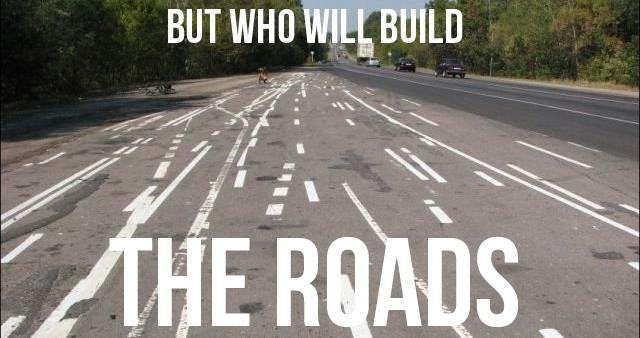 ""But without government, who will build the roads?" government has been doing certain services since we can remember, so they’re the only ones capable of doing those services. But private enterprises have built roads, parks, and street lights throughout history. It doesn’t take a collection of people to steal money from one group of people or take out loans they can’t pay with the money they currently steal from people to produce vital services."